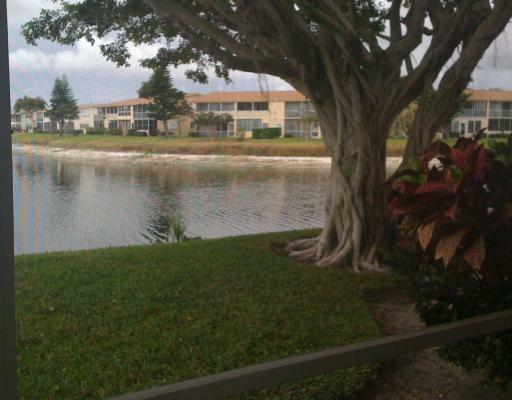 Fantastic condo with a waterview you dream about. Lake views from each bedroom. Watch the water fowl, sailboats and tropical sights. Condo is completely furnished and ready to move in. Custom leaded glass fixture in the dining room. Brazilian granite custom flooring, kitchen countertops and back-splash. New self-cleaning range and dishwasher in November 2018, hot water heater new in 2017, A/C new in 2003, Microwave and refrigerator with ice maker in 2017. Wine and drinks refrigerator included too. A/C vent added to the kitchen for your comfort. Under counter lights in the kitchen. Smoke free building. Convenient ground floor location in a small friendly building.